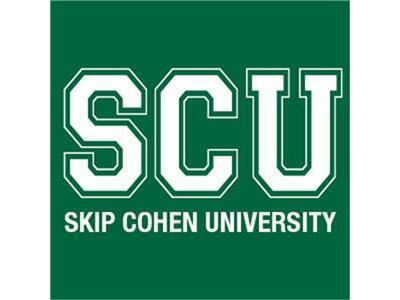 If you liked this show, you should follow Skip Cohen University. Building Your Network is all about people in the photographic industry who are doing things you need to know about. They're people who should be on your radar. Well, today's episode is a little different. It's not just about somebody you should know, but a new product that, as one of the industry's leading lighting instructors, Bobbi Lane, put it, "...is a game-changer!" Meet Richard Walch from Munich, Germany who wanted to push the limits of Profoto's new B1 Flash. Richard is a successful film maker and photographer and working together with Marcel Lammerhirt produced and directed the Carrara Project. It's a great little podcast as Richard talks about the shoot and the performance of the B1. To really appreciate the total concept and creativity behind the project check out the short video on the B1. It's remarkable what the B1 can do, but as your watching it, ask yourself how you'd create a video like this. The creativity that went into this project is amazing! A big thanks to ProfotoUSA for introducing us to Richard Walch and to Profoto for an amazing new addition to the tools photographers have to expand their creativity!